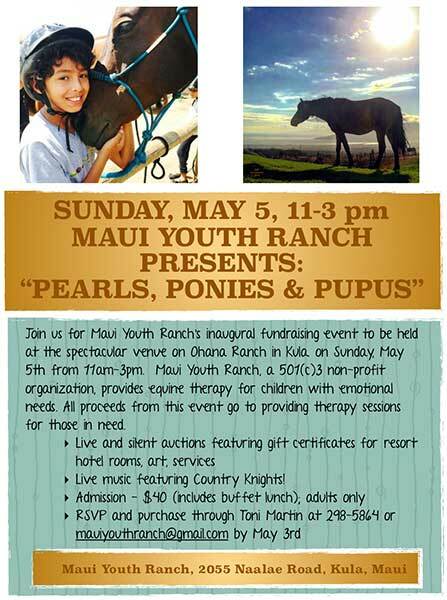 Maui Youth Ranch has created a facility using miniature horses, ponies and full-size horses for therapeutic purposes. We are blessed to donate our time and hearts to make a difference in our community for our special needs adults, children and rescue horses. The ranch is located in beautiful Upcountry, Kula on the island of Maui. The facility has amazing views to enjoy when working in our 120′ x 220′ arena or one of our 60′ and 30′ round pens.